A 31-year-old Texas woman has gone from the class room to a jail cell after passing herself off as a high school sophomore — but her motive remains a mystery. 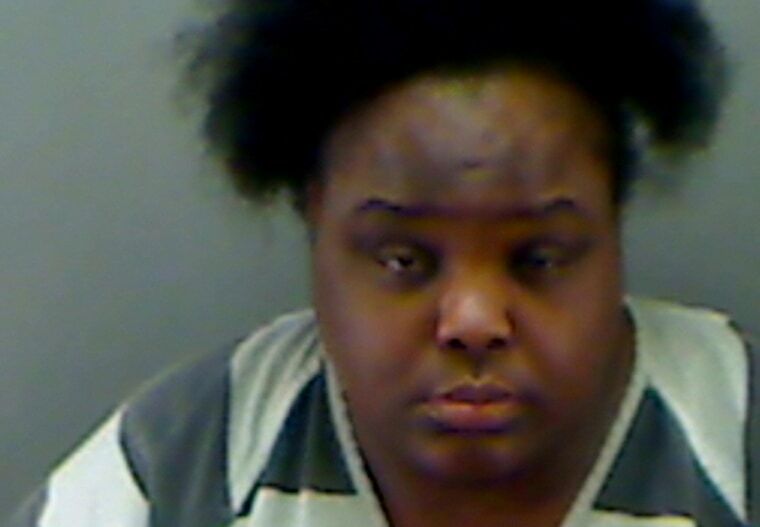 Authorities say Charity Anne Johnson posed as a 15-year-old girl who managed to enroll at an East Texas high school. Johnson's lie unraveled on Monday evening when a woman who she was living with in Longview, Texas, called the police and demanded she leave the property. When officers arrived, Johnson gave her name as "Charity Stevens" with a birth date in November 1997, Longview Police Officer Debra Stiles told NBC News on Thursday. But when some of the things "Stevens" told the cops didn't add up, they started digging a little deeper. "Through course of the investigation the officer determined she was lying," said Stiles. Johnson was arrested for "failing to identify" herself to an officer, which is a misdemeanor in Texas. She is currently being held in the Gregg County Jail in lieu of a $500 bond, where she is listed as being 5 feet tall and 300 pounds. Officials said that Johnson had no arrests in her background that would explain why she was faking her identity. "We did not find any warrants — which would be the norm — but in this case we didn't find any," said Stiles. "We don't know why (she did this) and I can't speculate as to what in the world her reason was." She said the investigation is ongoing. Tamica Lincoln was the woman who called the cops on Johnson. She had taken her in when she was posing as a down-on-her-luck teenager. Lincoln told local NBC affiliate KETK that she had sympathized with Johnson and felt she needed an adult role model in her life. "I just don't know why she did it. Why put yourself and others at risk to do something like this?" Lincoln told KLTV. "I have deep concerns about her being who we don't know she is, and then she's out there at the school." Officials at New Life Christian School in Longview, where Johnson — as Stevens — was ostensibly a sophomore, expressed the same sentiments. "She was a good student, she was respectful and did her work, got A’s and B’s," Principal Stuart Newlin told NBC News. "There were no red flags going up at all, the kids loved her." In the time that Johnson had been at school since October 2013, Newlin said there were no reports of thefts or any other problems. And he noted that Johnson was in fact paying about $25 dollars a month to go to the school that has just a few dozen students scattered throughout grades K to 12. "Why would you as an adult put yourself through this and have to do all this school work again?" Newlin wondered. He said in his 29 years as a teacher and principal he'd never seen anything like this. "Most educators probably haven't," said Newlin.